You Are Here: Home → Who Should I Vote For President in 2008 – Obama or McCain? As many a previous presidential general election campaign has proved, running for President demands a different strategy than that of being President. Running for President allows nominees to spout traditional Party ideology and to deliver promises to an electorate that are either deceptive or naive (not understanding that the current economic climate will not allow for such promises). The reason Presidential nominees get away with this deception or naivete falls back on the electorate who can be as uninformed as the nominees themselves. What’s the percentage of the electorate that knows the differing responsibilities of the legislative branch, executive branch and the Federal Reserve Bank. If the electorate doesn’t know who sets interest rates (Fed) or tax policy (Congress and the President), then it is easy to understand how Presidents get elected on superficial rhetoric. In truth, a President must compromise the application of Party ideology in the face of changing real world economics and politics. The attitude toward the United States economy is negative, lacking confidence, and thus, dire. Stock market prices, which rise and fall on emotion as much as projected earnings, have been free falling for a month now. Asian and European markets have followed the Dow Jones lead. Key economic indicators support our negative attitude. The economy is operating at a budget deficit due to less tax revenues, increased domestic spending and increased spending on national security measures. Over spending has caused the United States to borrow money from U.S. citizens and institutions abroad which has increased our national indebtedness and thus our interest payment on that debt. Truth be told, our economy’s debt ratio, which is defined as publicly held debt as a percentage of gross domestic product (GDP), is the key indicator of U.S. national indebtedness. The budget deficit is not. This is not to say that we can ignore a budget deficit but, before panic sets in, our debt must be analyzed as a percentage of our nations income, of GDP. Currently, our debt percentage is at its lowest point since World War II. Debt is good in many ways if it is used to fuel economic growth, i.e., new job creation which increases taxable revenue. So, the issue is and is not our debt ratio or our budget deficit but the increasing interest payments we must make on our debt. If we don’t manage or respect our debt, the ability to settle it will be jeopardized and so will all government programs in the future that will require increased monetary support due to aging Baby Boomers and Generation Xers, i.e., Medicare, Medicaid, Social Security, even government jobs and public works projects, for example. The way to effectively pay off debt is to realize increased cash flows by increasing taxes or stimulating economic growth (which increases tax revenues). But, with our economy at a standstill, is it wise to increase taxes on consumption and income? And what resources do we have left to stimulate the economy? We will most likely have a difficult time paying down interest on our national debt given the war in Iraq which commands billions of taxpayer dollars each month as well as the billions given to our banking system last month to keep the the credit system rolling. Exacerbating the cash flow crunch and interest payments, the Bush Administration issued billions to taxpayers at the beginning of 2008 with the hope of convincing consumers to spend. Not a bad policy, perhaps, but ill-timed misfortune in the face of it all. The housing market was tanking even back then (February, 2008). Some of Bush’s cash handout was spent but then some wasn’t as millions of homeowners had to guard every last penny to save for rising mortgage payments they realistically could no longer afford to pay. Now the Bush Administration is contemplating another round of capital payouts to the general public which, again, could put our economy further into debt and increase our interest payments. However, if the money is spent, will it have been worth it? Possibly. Congress, the President and The Fed are looking at anyway to jumpstart spending and confidence. But then just last week, The Los Angeles Times advised against consumer’s spending and, instead, pleaded with them to save everything they had even it meant foregoing top colleges for their kids or even the latest XBOX game this holiday season. This, of course, creates an unfortunate domino effect: less spending leads to lower revenue streams for companies in the retail, real estate, and financial sectors, among others. And, in turn, their lower revenue streams domino across the economy: more McDonald’s burgers rather than healthier, more expensive foods bought in supermarkets, less get-togethers with friends (less pizza and beer), and hesitation in buying that new home. As mentioned, economic growth can reduce the debt burden by affording us the extra capital to pay down the interest and subsequently the principal. If economic growth is not the answer, the President can reduce indebtedness (increase government revenues) by increasing taxes or cutting spending. But, if reducing the national debt is derivative of economic health, is it prudent to increase taxes, a move that could slow or hinder economic growth? Is it prudent to cut spending where thousands of Federal and State jobs can be lost? The unemployment rate is currently 6.1%, the highest it’s been since October, 2003. Increasing unemployment (it’s suppoed to climb to 7%+ in 2009) means more unemployment benefits and less taxable revenue for the government to spend. High unemployment rates do not trigger economic growth. Raising taxes will prevent businesses from hiring employees (and may force them to let some go), from investing in research, plants, etc. Business will stall while government takes those tax receipts and does what with them? Pays off debt, give them back in the form of a government-sponsored program that does not target your needs? Could you not have used that tax money for selfishly sounder purposes? Increasing tax rates will not trigger economic growth. If the government wants more revenue, reduce pork-barrel spending. Or better yet, invest it in your people, those that will return a profit on that investment. Be creative! Why steal from Peter, or in this case Warren Buffett, to pay Paul, in this case some homeowners that failed to use good judgment when securing mortgages beyond their means hoping and praying that their inflated home price would inflate even more? Without some understanding of economics, it is impossible for voters to determine the ramifications of promises made by Obama or McCain. 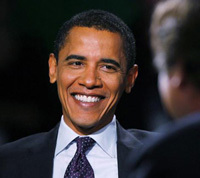 Obama promises tax increases to those individuals and businesses earning over $250,000 in gross income in order to provide tax relief to those not making as much. He goes on to promise a re-programming of the health insurance industry with the clear intention of reducing health and medical insurance premiums. Translation: tax increases, spending increases. 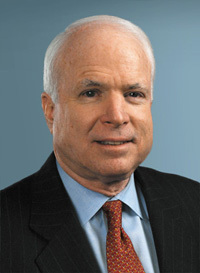 McCain promises to lower taxes where he can and he promises credits for health care. Translation: tax relief, less tax revenues, less government spending, impact on government jobs? Obama believes in the power of government to help people. McCain believes in the power of people to help people. In 2008, we need McBama – people need help from people AND its government because the people can’t, on their own, repair an economy harmed by government oversight and public sector greed. So, Who’s Better for the Economy – Obama or McCain? If you’re making less than $250,000, you think Obama might be the choice because his policies and ideology seem to translate to more money for you and your family in terms of government assistance, lower taxes and lower health insurance costs. The only way this works is if you reinvest your increased cash flow into the economy and there’s a good chance of that if interest rates stay low. If you’re making over $250,000, McCain seems like the right choice because you get to keep more of your income and determine for yourself where your money goes, i.e., investments in labor, plant expansion, in other businesses, or into your own savings account as a bonus. If you’re a business owner, you might feel cheated because you’ve been promised that you can keep your riches if you earn it and work hard for it – The American Dream, remember? You’re tired of being the bad guy because you have money which the government now wants to better the lives of those that never took the risks that you did. You wonder why tax and spend proponenets don’t realize that you are the one that employs the middle class and without you they would be in more severe trouble? The choice for President must be made in accordance with the current economic climate, here and abroad. It must be made considering that we are now saddled with a costly war in Iraq, rising unemployment rates, home foreclosures, failing banks, high gas prices and a budget deficit nearing $1 trillion. But, it probably won’t. Voters vote with their wallets, not their neighbor’s wallets. It’s what got Reagan elected. Nevertheless, heed this warning: the Obama and McCain you think you know will not be the Obama and McCain that run the White House. What you vote for on November 4th is not what you’ll get on January 20th, 2009. Economy indicators will make sure of that.